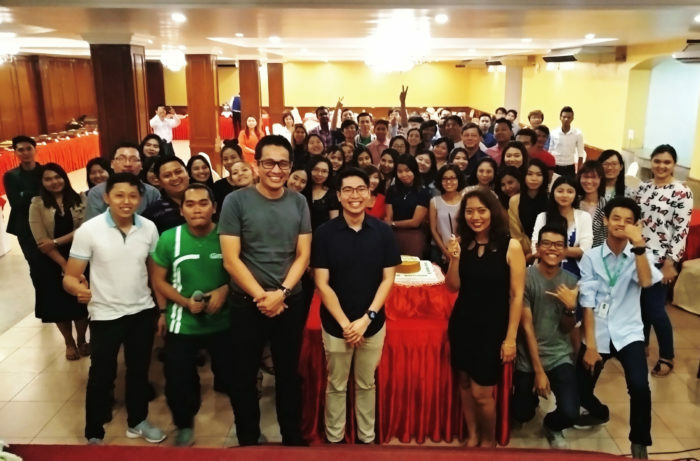 Yangon, Myanmar, 6 April 2018 – Grab, the leading ride hailing platform in Myanmar and in Southeast Asia, celebrated its first anniversary in Myanmar on 21 March 2018. Since Grab’s entry into Myanmar in March 2017, it has gained a leadership position in the ride hailing market and aims to continue supporting the transformation of the country’s transportation sector. This includes improving taxi standards, safety, and transport efficiency to offer the best experience for passengers with its GrabTaxi and GrabTaxi Plus services, as well as increasing the incomes of driver-partners. To celebrate its first anniversary, Grab hosted a social media campaign from 21 to 28 March 2018 for passengers to share their happiest moments with Grab over the past year. Grab selected the top 10 contest entries with the most interesting stories and awarded the winning participants with 50,000 GrabRewards points each. GrabRewards points can be used for discounts on Grab rides as well as discounts and free items from GrabRewards partners such as shop.com.mm, Pizza Hut, Swensen’s and Japan Store. Passengers can view their GrabRewards points and the rewards catalogue by tapping on “GrabRewards” in the menu panel of the Grab application. As part of its anniversary celebration, Grab also sent personalised messages to all Grab passengers to encourage them to share the Grab app with their loved ones to enjoy free rides. In addition, Grab awarded prizes to its driver-partners who achieved the top number of rides, top ratings from passengers and who received the best feedback from passengers. Each of the three winning driver-partners received a petrol voucher worth MMK 100,000. Grab’s driver-partners also shared messages about their best memories driving with Grab in the past year. 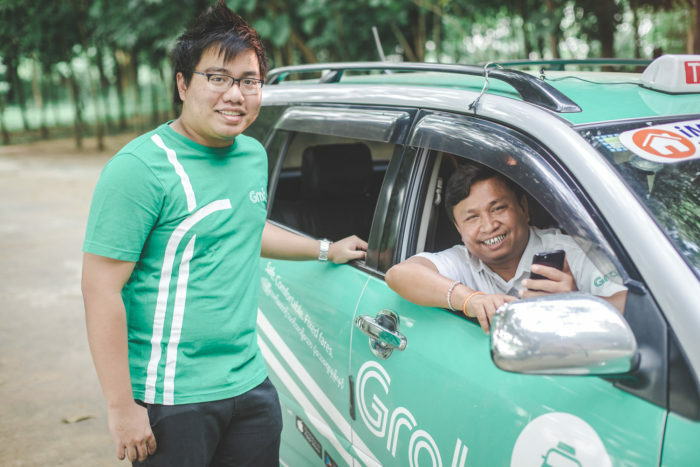 Ko Myo Htet, 41, who received the best feedback from passengers during the past year, said he is grateful that Grab has recognised his service and goodwill, He believes that the award is a reflection of his dedication to customer service for passengers. “I usually offer free bottles of water, sweets, tissues and hand sanitation gels in my car for passengers. When passengers see this, they feel happy and say they don’t want to alight from my car as they are being served similar to a guest in a home. I would like all my passengers to be happy during rides in my taxi. I congratulate Grab for its progress and I wish Grab will continue to serve passengers and driver-partners well,” he said. Ko Myo Htet also shared that he enjoys driving with Grab, especially because he does not need to haggle over the fares with passengers. To usher in the Thingyan Festival and Myanmar New Year, Grab will be joining the festive activities and sharing the festive cheer. For all four days of the Thingyan Festival, Grab staff will be roaming the streets of Yangon on two Grab trucks and will give away free festive snacks and gifts. Grab will also be making a donation to a selected charity. Grab passengers will be invited to join Grab in fundraising for the donation through their GrabReward Points. During the Thingyan Festival, Grab will set up drop-off and pick-up points at key locations throughout central Yangon to ensure ease of travel for festival-goers and to ease congestion in the city during the festive period. Grab will also block off specific areas on the passenger application, where heavy traffic and road closures are expected during the festive period, to ensure that passengers and drivers minimise misunderstandings and time spent in traffic congestion. Grab expects a shortage of driver-partners during the Thingyan Festival which is common during the annual celebrations. To encourage Grab driver-partners to be active during this period, Grab will provide free car wash services at pre-assigned car spas to its top 1,500 driver-partners after Thingyan, to assure driver-partners that their vehicles will be well-cleaned and well-maintained at the start of the Myanmar New Year. Grab announced on 26 March 2018 that it had acquired Uber’s Southeast Asia operations. This deal is the largest-ever of its kind in Southeast Asia. With the combined business, Grab will drive towards becoming the #1 online-to-offline (O2O) mobile platform in Southeast Asia and a major player in food delivery. In the immediate term, both Grab and Uber drivers can drive as they normally do. The Uber app will continue to run until 8 April 2018 so that Uber drivers can continue to drive. Grab recommends drivers who wish to join the Grab platform to sign up at their earliest convenience before the Uber service closes. Drivers can look forward to enjoying the benefits of a larger Grab network, with a larger pool of passengers. This includes more bookings, better matching of passengers and drivers, and greater earning potential. For passengers, Grab’s operations and fare pricing will continue as normal. Uber riders can immediately download and use the Grab app to book rides for their travelling needs in Myanmar. Passengers in Myanmar can expect better service with more drivers and transport options available through the Grab app.